Any enterprise that wants to flourish and increase the efficiency of their operations needs to look for inventive ways to do it. Fortunately, with this digital age, it is possible to achieve agility, flexibility & efficiency in several ways. OpenStack is by far one of the best ways to accomplish all those things at the same time. It stands out among the plethora of cloud options, as OpenStack provides the flexibility of technology virtualization like no other solutions available in the market. OpenStack is an enterprise cloud-based computing platform that is highly successful open source solution due to the numerous benefits it offers, such as it allowing enterprises to control the storage, processing, and networking of resources throughout all areas of their data center. OpenStack is openly available under the Apache 2.0 license, and is usually known in the media as “the Linux of the Cloud.” OpenStack has a strong ecosystem, and users seeking commercial support can choose from different OpenStack-powered products and services in the market such as VEXXHOST. For any kind of application or site to run better, the cloud is usually the go-to solution. Since the arrival of cloud computing, it has brought a revolution in how companies provision and deploy infrastructure. There are several types of cloud computing such as public, hybrid, and virtual private or private cloud. For the sake of relevancy of this article, let’s stick to the public cloud. In Public cloud, the company’s data is stored in the provider’s data center and the provider is responsible for the management and maintenance of the data center. Public cloud has multiple advantages such as self-management, shared hardware, replacing capital expenses (CAPEX) with operational expenses (OPEX); modernizing applications when data center resources are limited; gaining access to a wide range of languages, tools, and services. However, implementation of public cloud is best suitable for companies where security and compliance are less of an issue. Hundreds of companies rely on OpenStack to run their businesses smoothly every day while reducing costs and overheads. In addition to this, OpenStack is the leading open source option for building public cloud environments. 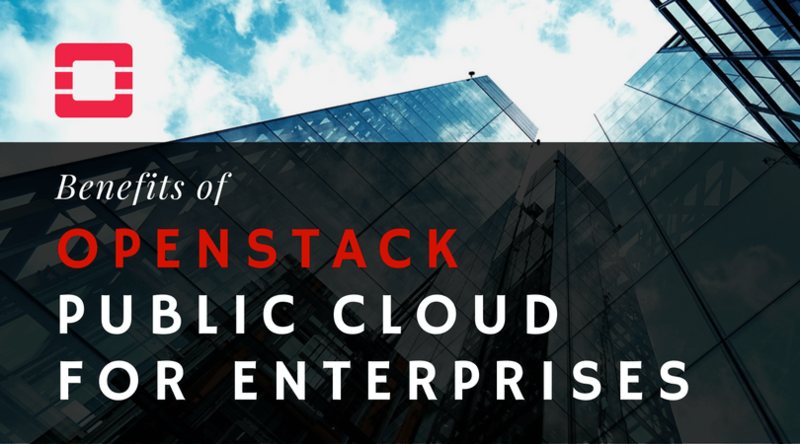 It does not matter whether your company is a multibillion-dollar publicly traded enterprise or a small startup, you can use OpenStack public clouds with services that compete with major public cloud providers. Back in 2010, OpenStack was formed by NASA as a platform for allowing organizations to provide free and open source cloud computing services running on standard commodity hardware. Since its inception, giants in IT industry such as IBM, Intel, Red Hat, AMD etc have pledged their support and provided investment for it to develop. Hence, OpenStack has a thriving community of developers that collaborate with the users to design the platform best suited for any business needs. OpenStack’s APIs are designed to be compatible with public cloud platforms such as Amazon Web Services. For plenty of businesses, this provides the option of porting IaaS client applications from AWS to OpenStack-based IaaS providers with minimal effort. Scalability is best defined as the property of a system to continue to work as it increases in size and workload demands. In case of OpenStack public clouds, it offers a significant degree of scalability for enterprises OpenStack itself is a highly scalable system. It can enable enterprises to spin up and spin down servers on-demand. Securing an OpenStack cloud is not unlike securing any other IT infrastructure. It requires a high set of tools and skills and a good understanding of security. In OpenStack, high level of security can be achieved through role-based access controls. Access and resource utilization can be controlled at the level of users, roles, and projects. OpenStack has a control panel that provides visibility, control and easy access to power management tools. Thus making it very easy for the users to monitor and manage their cloud services and allowing users and administrators to have a clear overview for the management of resource usage, and currently active VM instances. OpenStack has been widely adopted across the IT community, due to its driving innovation and robustness. It is constantly evolving platform for the creation of highly available, easily managed cloud services. OpenStack global community includes more than hundreds of thousands of individual members and 250 supporting organizations spanning 130 plus countries. Hence, if you’re convinced with the power of OpenStack and wants to look into it further then VEXXHOST offers OpenStack in their services. At VEXXHOST, a team of OpenStack and cloud computing experts is available to help you in understanding the benefits of cloud computing better and how suitable it can be for your business. Check out our OpenStack public cloud free trial below.